I find it so crazy how the Internet enables small and medium sized businesses (SMB) to market their products or services online, at little to no extra cost. As an entrepreneur, it is easy to set up your own social media marketing campaign. All you need is to find the tools to help you maximize your reach in the online world. Below are the top 3 tools that I use that help me with my social media marketing effort. I suggest bookmarking this page and keeping these tools in your arsenal of social media tools, and you will have a fighting chance of marketing your business successfully in the digital sphere. Some of the first things that any SMB should set up are their Twitter, LinkedIn, and Facebook accounts. It is important that your brand has a presence on these social media platforms, as they are some of the most widely used social media networks out there. You can even include Google+ and Instagram as their user bases are rapidly growing. It could be time consuming to manage these accounts individually as you will have to login to the different platforms. This is where Hootsuite can come in handy. 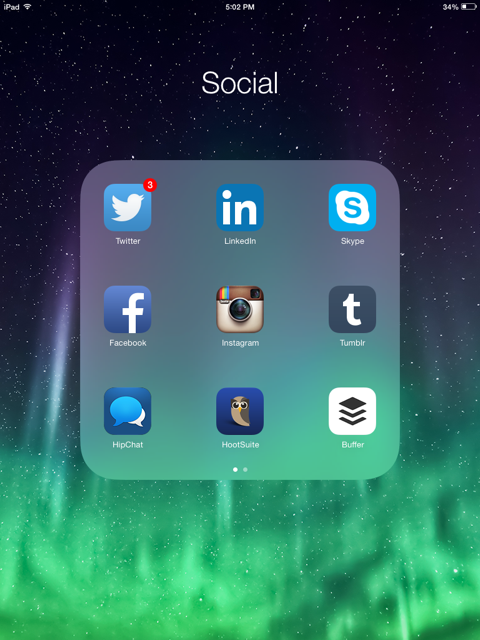 Hootsuite allows you to manage all your social media accounts in a single app. You’ll have all your posts, comments from followers, incoming messages, all on the dashboard. In addition, Hootsuite provides you with useful analytics so that you will know your market better. These statistics tell you when and where your market is growing and who you are talking to. These demographic data allow you to streamline your social media marketing effort to better target your audience. With Hootsuite, you can schedule your messages in advance and Hootsuite will post them for you at the scheduled time. This allows you to maintain your social media presence, even when you are not around. Buffer is an app that allows SMB to interact with their Twitter followers smartly. Users can create their own posting schedules and fill up their posting queue. Buffer will tweet or retweet the content in the queue according to the schedule. You can batch your social media marketing tasks and schedule your tweets all at once. You don’t have to worry about when they will be sent because Buffer will take care of that for you. This is especially useful if you are a SMB owner who has customers in different time zones. You can customize your schedules to target audience in these time zones. Buffer can be integrated with other apps, such as Feedly, such that you can fill up your tweeting queue as you consume the content. It also provides you with tracking and analytics, so you can find out if your social media marketing strategy is working. Cloud computing is the trend of computing, and because of that more and more web apps are available. Zapier allows users to connect some of the most popular web apps and let them take care of the repetitive tasks that they have to do on a regular basis automatically. For example, when you save an article that you think is useful to your Pocket for later reference, you can set up Zapier to automatically save the same article to your Buffer queue and tweet it to your audience. How about automatically creating an invoice in Freshbooks when a sale comes in from PayPal? By automating repetitive tasks like these, SMB owners will be able to save a lot of time. say that I have truly enjoyed browsing your blog posts. After all I will be subscribing to your feed and I hope you write again soon! Thanks for sharing your top 3 social media tools. I’d never heard of Zapier before. It sounds very similar to IFTTT – what would you recommend using each for? If you’re every looking for other tools, you should try out socialpiq.com and use the SMB filter. They have tons of tools you might find interesting.